The product featured in this post was sent to me for review. The Exuviance Firm-NG6 Non-Acid Peel is designed to give your skin the results of a chemical peel without irritating your skin. 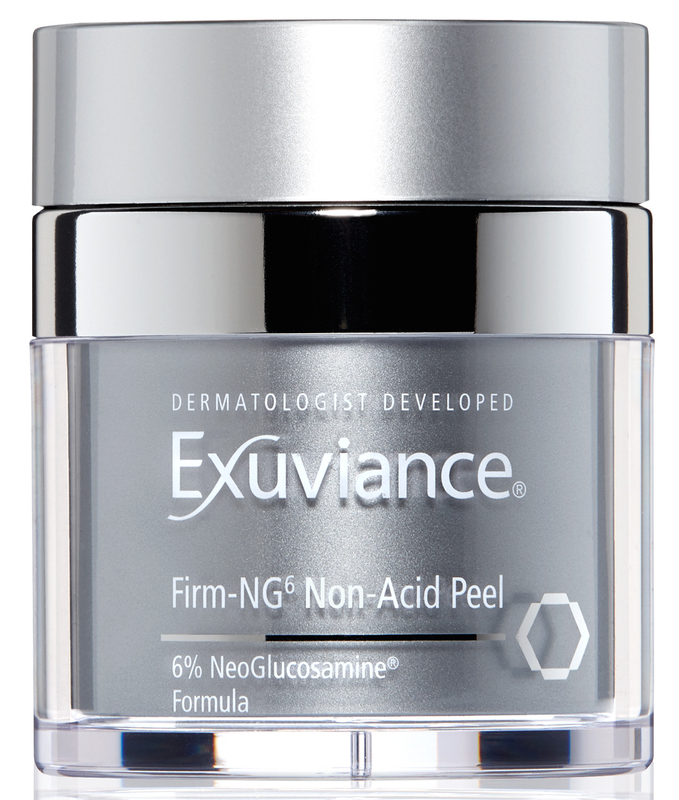 This peel is formulated with NeoGlucosamine to increase cell turnover without harsh exfoliation. It is suitable for all skin types, plumps fine lines and wrinkles, fades dark spots, and improves elasticity and firmness. This amazing no-rinse formula is easy to apply through the push-top, it dispenses the perfect amount of product. You apply it to your face, and allow it absorb, then follow with moisturizer or the rest of your skincare routine. I've been using this product for about a week and feel like my skin is brighter and smoother. This is a very interesting and innovative product. Disclaimer: Baby and the Chi's blog received the product(s) mentioned in this post for the purpose of review and evaluation. No monetary compensation was received for this post. Baby and the Chi's blog will always provide honest opinions, beliefs or experiences on products reviewed. If you have any questions, please contact me at babyandthechis at gmail dot com. This blog contains affiliate links and I may receive a small commission if you make a purchase using one of those links. The disclosure is done in accordance with the Federal Trade Commission 10 CFR, Part 255 Guides Concerning the use of Endorsements and Testimonials in Advertising.